WineScribble argues that wine memories are better than using technology to store your moments! Sure, hard disks and online picture storage such as Instagram allow us to archive memories, but these memories are limited. For the full recall we need the olfactory experience that wine memories bring. Also, watch in awe as WineScribble make her first ever unboxing video. And teaches us how to take a picture for Instagram. Enjoy the show! Chris, can you get that? Yes, it’s here! This is my new technology. Everyone talks about how we live in the age of technology, but what does that actually mean? Everything is technology. A rock that helps you crack a nut. A clay tablet is no different in principle to your iPad. Take the Phaistos Disc for example. Originally discovered on the island of Crete, it is covered in symbols, 242 of them. Do you know how many computer bytes that is equal to? It’s about a thousand bytes, 1K of memory. You can store a lot more data on an iPad. Here’s the thing about making a new video every week. I end up generating a huge amount of data. Last week when I was in my friend George’s shop, I only took one camera and I still managed to generate 40 gigabytes of data. I’ve got a storage problem. So… what’s in the box? This is called a DiskStation, these two are hard disks, these are four terabytes each. That should keep WineScribble in business for another 12 months. Guys let’s go plug this in! Chris, can you pick this up? A wine is another way of storing memories, possibly a more complete way of storing memories. What you get with technology is perfect recall but there is something missing and that is the emotional context of a memory. Electronic devices provide us with a way of recalling every visual detail and every auditory detail. However, one of our senses gets left out and that’s our sense of smell. I’ve been reading up about our sense of smell and I was very surprised to find out that our brain processes memories in the same centre as it processes smells, and apparently that’s the reason why a specific smell can send you back into the past, and you perfectly recall a moment. But, not just the colours and the sounds, but also how you felt in that moment. This is key in wine tasting, and this particular bottle of wine, this Shiraz by Vlassides winery is the perfect example for me. Many years ago I came back to Cyprus after many years abroad, and I shared this Shiraz with a very very special friend. I was very surprised by this wine this wine struck me as quite remarkable because up until that point Cyprus wine had a lot of energy, had a lot of oomph, but it didn’t have elegance. This was the first Cypriot wine that I tasted that made me stop and pay attention. And I recall that moment very very vividly, and I recall how I felt. And, whenever I taste this wine, no matter how many years have passed it always takes me back to that evening. To me wine is the perfect memory storage device because it helps you recall what’s important about the shared moment. Because it is part of the shared moment, because it’s such a rich olfactory experience that involves not just your sight, not just your hearing, but all your senses. What you recall is the most valuable parts of the memory. When I taste this wine it takes me back to that specific memory but now I record my wine tasting experiences digitally. I take a photo for Instagram and I write my notes there, and I think I’m gonna show you what happens behind the scenes when I take my photos. Come with me. First things first guys, we need to create an infinity loop. Next let’s add a splash of colour Now, we’re going to add some texture. With this wine I’m going to taste some cheese. For the photo, a cute cheese knife. Here is the star of the show. So guys, what I have to do now is keep rearranging these objects, until I feel I have a good composition and then I’ll take some photos, I’ll eat all the cheese, and I’ll taste the wine. I have a friend called Martin he was one of the first backers of the Oculus Rift project on Kickstarter. One night he invited me to his house and I got to experience what it’s like to be attacked by a Tyrannosaurus Rex. It was absolutely frightening, so realistic I cannot even begin to describe it. However, thinking back to that moment now I recall what it looked like, but I don’t recall the fear. I was afraid but the fear didn’t stay with me. The memory of the fear has faded, and there is a reason for that. Because even though it is completely immersive virtual reality, there was no smell. I couldn’t smell the dinosaur, my brain knew the attack was not real. Without your sense of smell underlying the experience, the experience is not complete. Technology will always be a limited memory device. Much better than any piece of technology is a bottle of wine. To create memories, and to capture memories perfectly, to keep them forever not just in a technology storage device but in your heart. Much better to just open a bottle of wine! 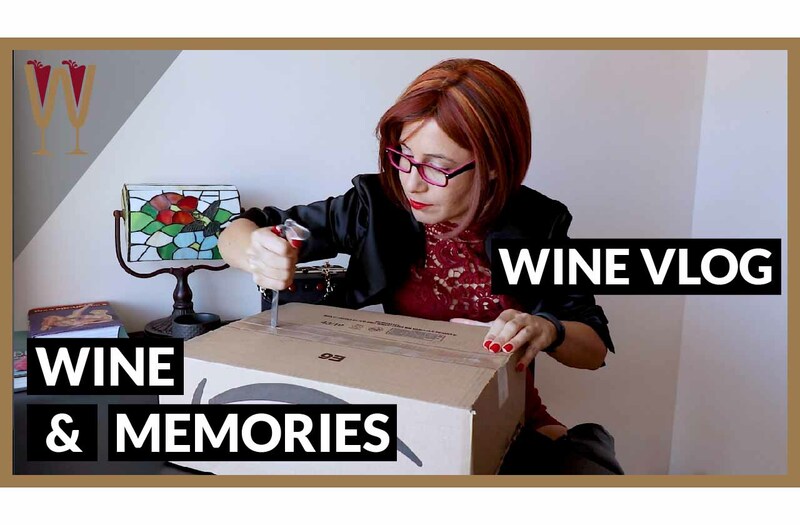 Tasters, if you’ve enjoyed this video about memory and wine, please give it a thumbs up, share it with a friend, subscribe and I’ll see you on the next video. Cheers!